HOUSTON -- Nothing cures the ills of a bad round of golf -- or especially the sting of a blow-up 18th hole -- as much as a cold one and some well-prepared grub after the round. The Back Deck Bar & Grill is a favorite place to hang out at after a round at Houston National Golf Club. Almost every golf course offers beer and most offer some kind of food, but a few stand out. These are the daily-fee golf operations that get it. For example, one of the best moves the city of Houston made when it renovated Memorial Park in the mid-1990s was contracting Becks Prime as its food and beverage provider. Not only is it a great place to hang out before and after a round, but also thousands of non-golfers eat there. You know you have something when you can draw the non-golf crowd as well. What follows are a half dozen examples of the best on-course dining/19th hole options among public golf courses in the Houston area. Inside the clubhouse at The Golf Club at Cinco Ranch in Katy is the Lone Star Grill, which is set up for sports, burgers and some of the cheapest beer around. Well, at least the first one. 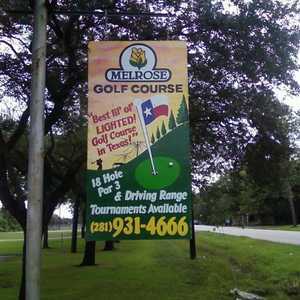 Cinco Ranch didn't invent the concept, but golfers can enjoy their first beer for a penny a stroke. So figure even the worst golfer isn't going to pay more than a buck-fifty, and most of us, even with a little fudging, are going to play less than a dollar. But really, that's just the beginning. The large clubhouse has plenty of screens for the games and a pretty good menu that includes a variety of salads, wraps, sandwiches, daily entree specials and homemade soups. The club also has weekend outdoor service that features some of the prettiest servers in the area. Daily-fee golfers at Houston National Golf Club get the best of both worlds at this private/semi-private facility that features two different golf courses. There's dining inside the clubhouse, but perhaps the most fun venue is its backyard venue, the Back Deck Bar & Grill, which overlooks the range and practice facilities. What's unique about the Back Deck are the menu items, which are surprisingly creative for a golf course. The signature dish is organic pizza, which is baked in a wood-fired oven, using the freshest ingredients. There's also a signature hot dog, great burgers and the Sterling Club sandwich (as in the other course at Houston National, Sterling Country Club). There's also live music on the last Friday of each month. Not only is the John Bredemus-designed Memorial Park Golf Course one of the best munis in the country, but also it has one of the best food and beverage operations. That's because the golf course doesn't run it, which isn't a bad idea at all for a city-owned course. Houston-based Becks Prime, which some argue makes the best burger in the city, handles the hungry golfers at Memorial and then some. In fact, those who are at the park to make the three-mile run or walk -- the tennis players, softball players and just those passing through -- can smell those smoked burgers from a mile away, and the aroma is ever so enticing. There's also a chicken-stuffed potato, incredibly good Mediterranean salad and a pretty fair all-beef hot dog. And at what other golf course can you get a real homemade ice cream shake. Beck's does it so well it's even open on Tuesdays, when the golf course is closed. It's a PGA Tour venue (the Golf Club of Houston's Tournament Course hosts the Shell Houston Open), so you'd expect the food to be good, and it doesn't disappoint. And while you can get a great meal in the dining room, the informal, but elegant Players Grill may a little more fun. Great for settling wagers at the end of a round, the Golf Club of Houston employs a team of personable bartenders to talk sports, relationships and even golf with you as they serve up a nice variety of domestic and imported draft beers and well drinks. The bar food menu is pretty inventive, too, with everything from terrific wings and quesadillas to nachos with brisket, shrimp or chicken. Of course, if you'd like something a little more substantial, that's available from the restaurant. It includes everything from homemade soups, salads and filet mignon to a Texas favorite -- chicken fried chicken or steak, served with corn, mashed potatoes and gravy. Although most people come to 27-hole Timber Creek Golf Club in Friendswood to play golf, you couldn't blame them if they just came by to grab a beer and a bite to eat. The Legends Grill at Timber Creek has one of the most creative bar menus you'll find anywhere, much less at the golf course. If you like food with a distinctive ethnic flair, this is your place. For example, there's Pedro's El Salvadorian Puchera Tacos, Darryl's "Almost Famous" Boudain Balls and crabmeat and crawfish stuffed jalapenos. Those three items alone would be enough to attract most sports fans, but there are also killer nachos, a terrific Reuben sandwich and something called the "8-Layer Clubhouse Stack." Add a friendly bartender, a happy hour and plenty of draft beer and you've got a great place to hang out, whether you're playing golf or not. At the site of the world's first copycat golf course, overlooking a replica of the 17th hole at the TPC Sawgrass, is the Traditions Cafe at Tour 18 in Humble. Inside you'll find big screens for watching sports and a wide variety of beers, drinks and menu items. 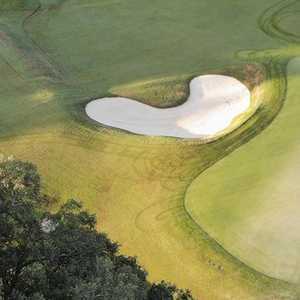 Perhaps, though, what sets Tour 18 apart is its "Open Grill," a concept that allows golfers to eat buffet style from a variety of menu items that usually includes hamburgers, hot dogs, potato salad, ranch style beans and all the iced tea you can drink, which can be a lot during Houston's hot summers. There's also a large menu that includes other items as well as the chef's special, which features a variety of carved meats, salad, prime rib and smoked ham.